We are pleased to announce that our new server health monitoring platform is now live, with support for hundreds of thousands of devices and featuring real-time email notifications. Get notified when your vital equipment needs attention, avoid costly unforeseen downtime. After rigorous testing on our own in house servers, we couldn’t be happier with the performance of our server health monitoring platform. Now that’s its passed the testing phase we are happy to offer the service to our customers too so you can benefit from real-time alerts from your server and network hardware, 24/7. Everything! From your ESXi virtual machine hypervisor to your mobile phone and everything in between, including Windows, OS X, Linux and BSD server and workstation systems. This also includes enterprise network hardware, such as managed switches, modems, WiFi access points, firewalls and routers. Alerts include, unexpected shut-downs, unreachable services, disk space, memory, software updates, changes to firmware, and so much more. The system is so adaptable that virtually anything you can dream up can be monitored in some way. What Happens when Something is Wrong? The server health monitoring system will email you immediately when the alert has been triggered. It will also alert us, your IT support partner, so we can begin actioning a resolution to the issue if appropriate. The system will also allow you to maintain a history of issues so you can address an intermittent or chronic problem more easily with more of the right information. IT downtime is often caused by avoidable issues which go unnoticed for long periods of time, only when the issue has come to a catastrophic head do administrators have the opportunity to react to the situation. But what more can you do? If only you were notified when the issue first arose so you could have dealt with it before it affected the wider user base. This is where our server health monitoring platform saves the day! Administration of a large network of devices is time consuming, a mammoth task in cases where personnel are not available to keep on top of it. Manage everything from one place and only get notified when something important needs your attention. Streamlined. 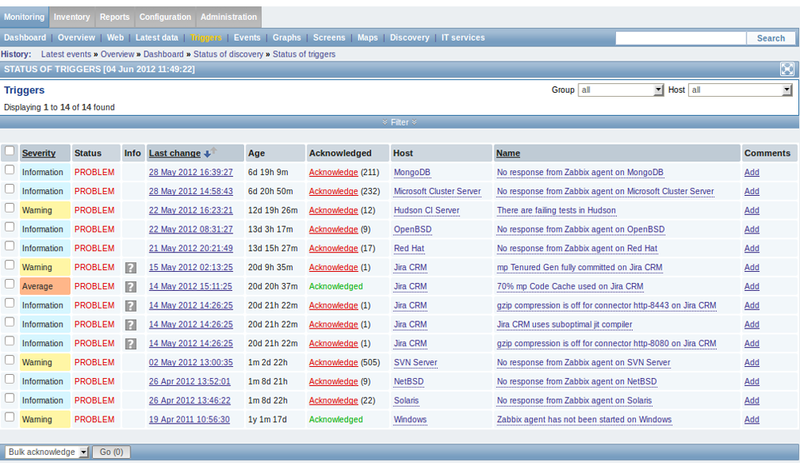 If you would like to take our server health monitoring system for a spin to see how it can work for you, get in touch.